Complete care must be taken to ensure that all furnishing and fittings are well covered before any painting or preparation can commence. The correct product must be chosen to make sure that any paint coating applied is going to withstand the harsh Scottish weather and be flexible under temperature changes. When choosing your wallpaper or wallcovering whether it be vinyl or Erfurt Mav lining paper, the correct grade and material must be suitable for the wall or ceiling surface. 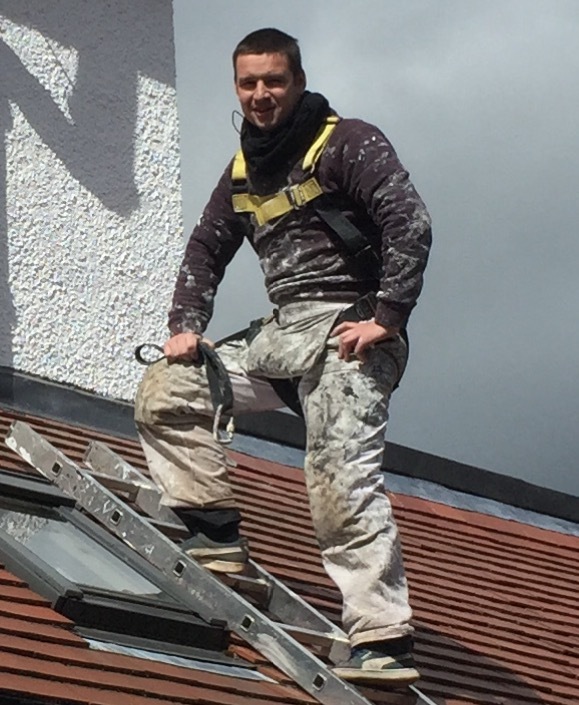 Welcome to my online website, my name is Ross Kirkwood and I am a fully qualified painter and decorator in Edinburgh. Please take time to browse my site where you can view my previous work in the gallery section and also view my blog where you will find many painting and decorating tips and product reviews. I carry out all aspects of the paint trade from internal to external painting and hang all types of wallpaper and wallcoverings. I am fully qualified through the SQA and CITB and completed a fully time served apprenticeship. In 2004 I set up my business Kirkwood Decor and I now undertake many projects for private homeowners and commercial clients. I ensure that I build a good customer relationship and that all work is completed to the highest possible standard and within any given timeframe or budget. This in turn allows me to have a good reputation within the Edinburgh painting and decorating community and build my business from strength to strength. 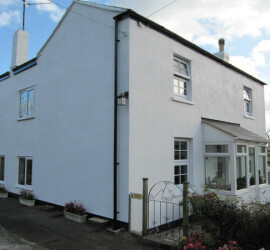 What paint services do I offer? As you search through my website you will see the Services Section. 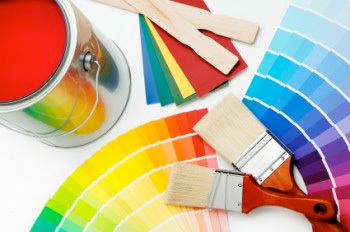 This will describe all the specific areas of the paint trade I offer and any information and tips about those areas. - If you require any ideas on colour schemes or tips then please feel free to contact me for any advice or techniques and I will do my best to meet your specification. - When applying the paint material you need to understand if it is suitbale for either brick or wall render and also the weather temperature it can be applied in. This also relates to any outside doors & sash and case windows. - Has the plaster had time to fully dry and cure? If a new skim coat has been applied it is important to thin the paint and apply a mist coat & never use pva on a new skimmed area. - Are the units or work surfaces made of laminate, oak, melamine or even MDF? 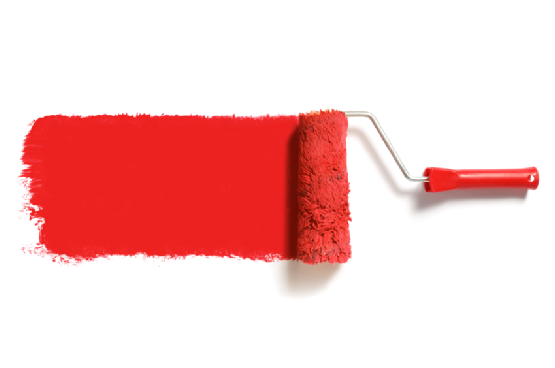 A suitbale primer must be used as a base coat to ensure good adhesion of further top coats. 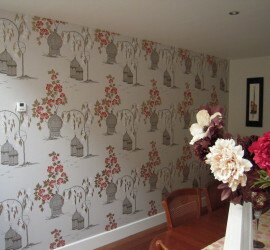 - When wallpapering a feature wall or the whole room you must decide where to start & stop. Take time learn the techniques and tips to ensure that your corners and cuts are all trimmed perfectly. Average cost to paint a room? I often recieve phone calls asking this question. When possible I will try and give a rough price over the phone but as you can understand this is sometimes difficult without seeing the job. 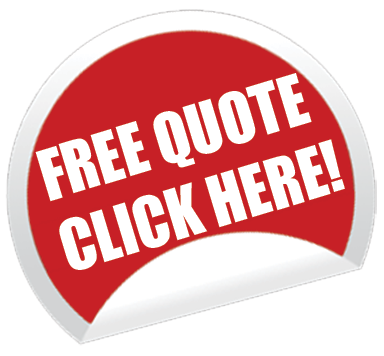 All Estimates I give are free and are well structured to include the cost of labour and materials. For most domestic work I will price per day and for larger commercial jobs I often price per square foot. I will always try to work within your budget and timescale to ensure that your recieve a professional quote and the highest standard of work possible. Please feel free to call me on 07799322851 to discuss the work, alternatively use the contact form to type a message and I will respond immediately.